Ever since 2009 analysts in the developed world have largely expected a return to ‘normal’ economic growth and inflation, the kind that necessitates a gradual tightening of interest rates to keep overheating in check. 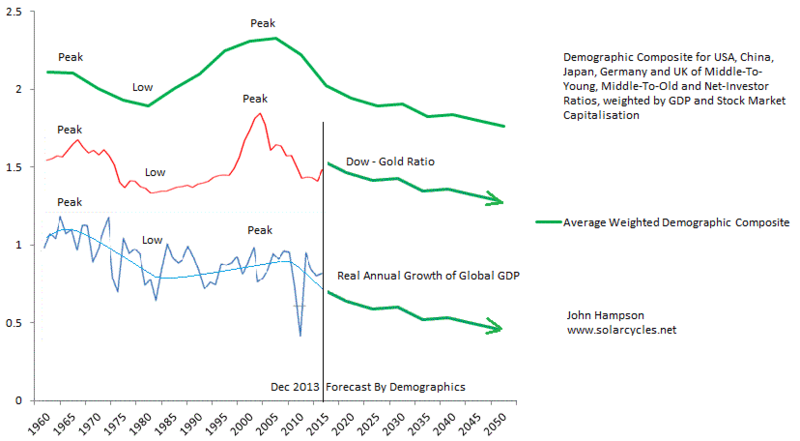 This is based on patterns over the last 50 years following recessions. 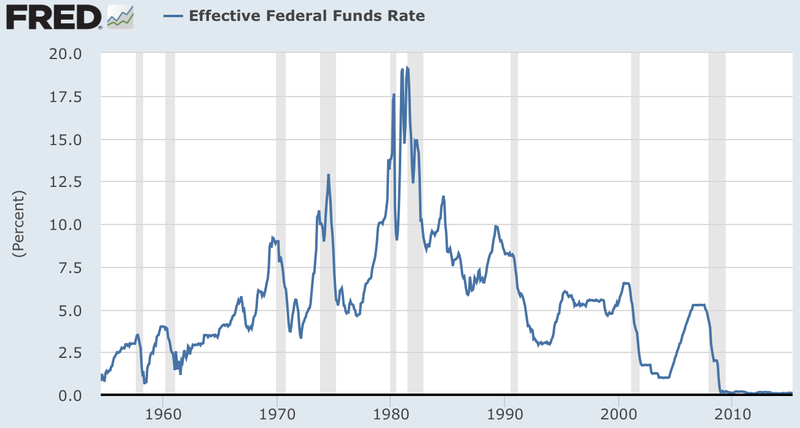 Yet, as the US chart below shows, something has gone wrong this time, with rates at zero, six years on. Consequently, central banks are battling to prevent recession and deflation. 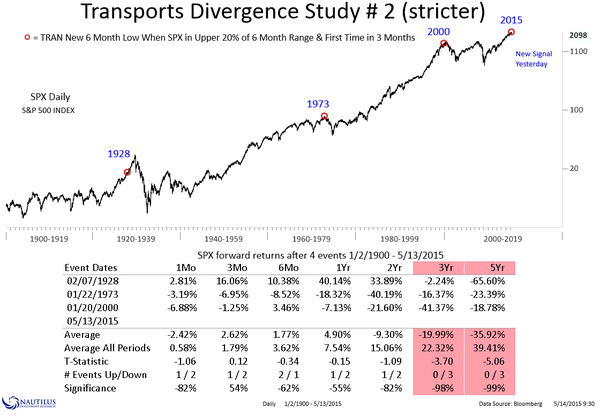 What does this mean for equities? The stock market has front-run a return to normal growth. As normal growth hasn’t happened, equities are now right at the top end of historic valuations. Each year since 2009 analysts have laid out their predictions for 10% earnings growth and over 3% GDP growth (US), only to see the reality fall short each time. But, the reality hasn’t yet been too dire either, and some would call this a goldilocks scenario for stocks: disinflation but no deflation, meagre growth but positive, monetary conditions kept easy and supportive. So the question going forward is whether this can be maintained. Last year Q1 US GDP came in negative but the rest of the year recovered. This year the same has happened and whilst there is a question mark against Q2, leading indicators predict a recovery later in the year for the US and for improvement in Europe. However, there was an additional major factor last year: the solar maximum. Speculation and economic activity typically rise into the solar max and recede afterwards. 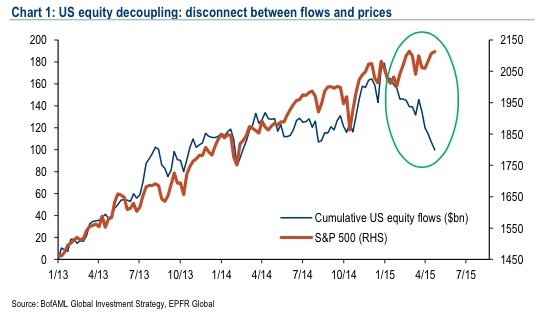 Currently, the stock market is holding things together due to its wealth effect. A stocks bear would tip the fragile global economy into outright recession and deflation. There is a yawning gap between equity valuations and economic reality, but the common view amongst analysts remains that central bank actions and the ‘normal’ business cycle of the last 50 years will yet produce the return to economic growth and inflation and that we have both a series of rate rises and problematic commodity prices to the upside to go through yet before stocks are in danger. However, if we look back to the 1930s US or 1990s Japan then we see evidence of a different ‘normal’ in which deflationary recessions and stock bears did occur despite easy conditions in place by central banks. 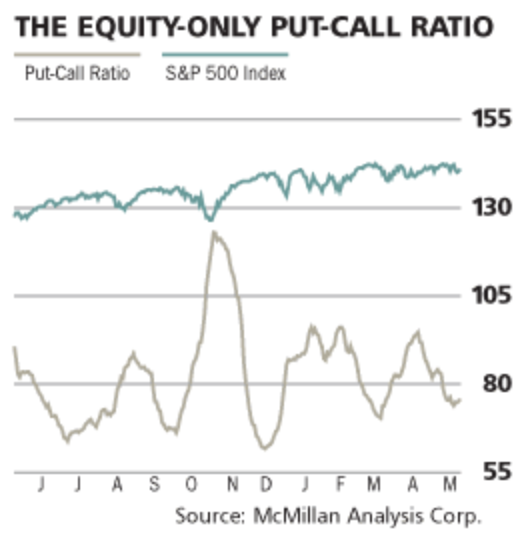 In both cases the yawning gap between equity valuations and persisting economic trouble was ultimately closed. The recent collapse in oil prices and cash flows into increasingly negative yielding bonds reflect bad economic realities, to which the stock market appears to be the last to catch on. 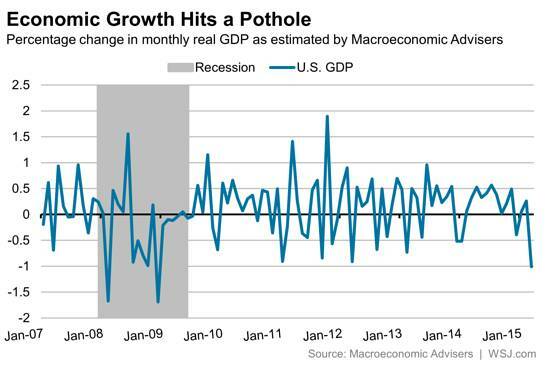 Whilst economic data is disappointing to the downside in the period since too. And technically we have seen a narrowing price range on waning strength and breadth. 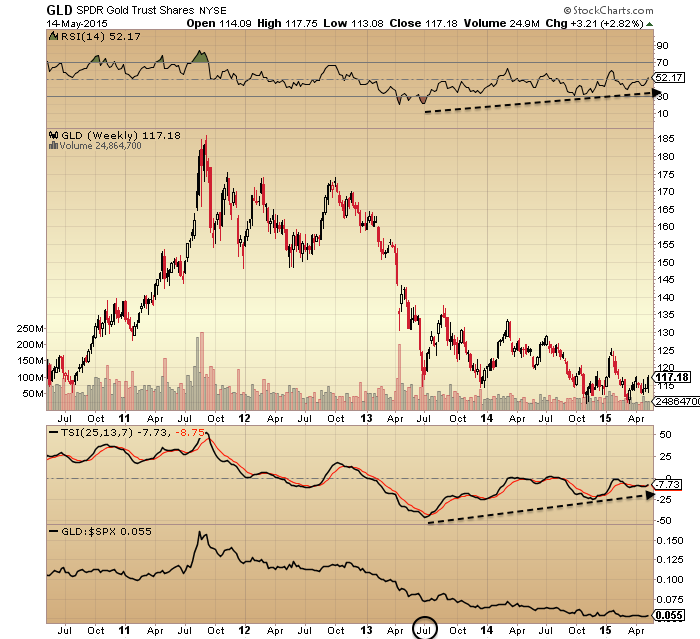 Plus we see compressed volatility and gold making a long bottoming pattern on increasing strength. In short, I’m going to continue to attack here (short equities, long gold) because the case is strong. 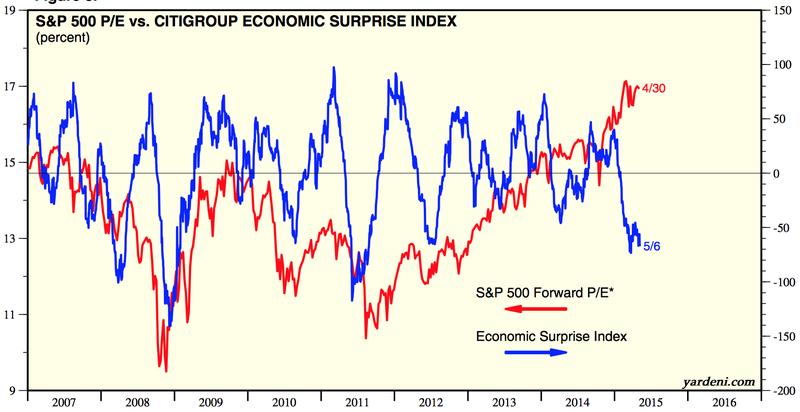 The main concern I have is the upturn in leading indicators (real money, ECRI), because I can’t rule out the possibility that once economic surprises start to improve again then the ageing bull gets a little refuel. However, real money leading indicators again predict this to be a transient improvement, still not the return to ‘normal’ growth, and at some point that belated realisation that normal growth isn’t coming back is going to make the max-leverage, max-bullish, max valuation stock market a house of cards, due to the exceptional skewing and distortion. Odds are this is the time, given (1) the under-the-hood peaking in indicators at the solar max of last year, (2) the current strength/breadth divergences like in 2011, (3) the mid-year seasonal geomagnetic peak, and (4) the likely disappointing data still to come out over the next few weeks. A sharp drop in equities would negate the leading indicator improvement ahead, so that’s what has to be delivered here, to give the bear case the decisive control. Phasing more into long gold, short Dow, and opened ETF agri long. Don’t follow me… here is my case. Gold has been making a long base with rising underlying strength since July last year. US stocks have shown an underlying decline over the matching same period, as evidenced by stocks:bonds, stocks:dollar and two measures of breadth. That turning point in both fits well with the solar maximum, a speculative peak. 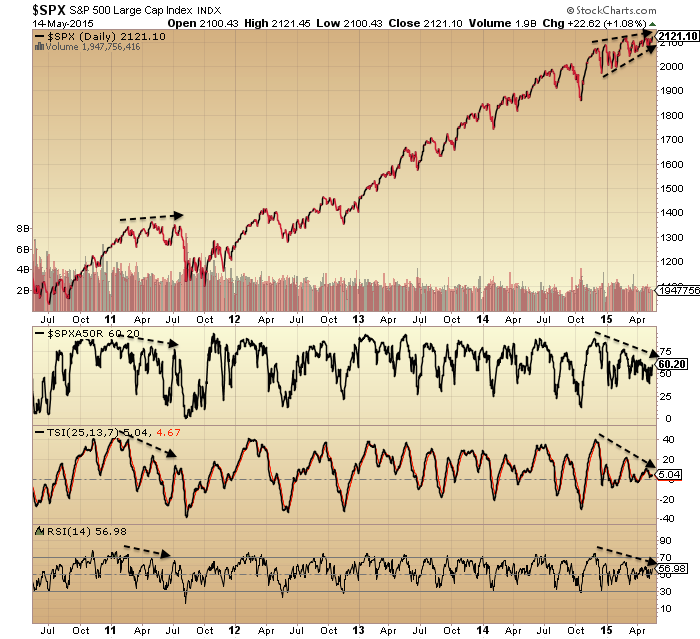 The latest attempted breakout in equities has much in common with the July peak in 2011, before the sharp falls. 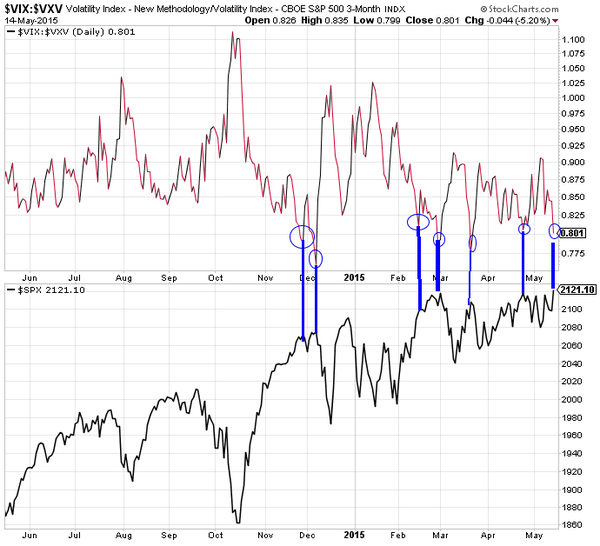 Volatility, momentum, strength and breadth all suggest the breakout should fail. 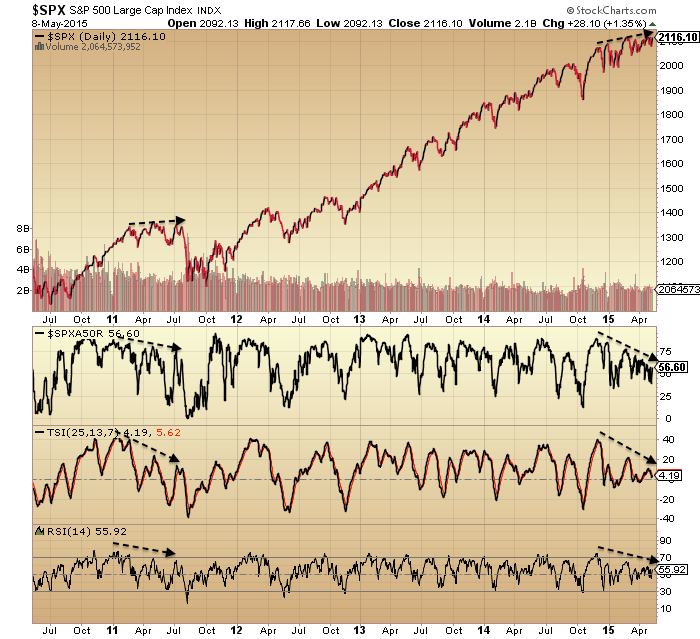 Geomagnetism continues to bother and is another telling divergence ripe for resolution, and its overall pattern is reflected in a variety of underlying stock market indicators. The US economy is in big trouble. If you haven’t already seen, Zero Hedge presented 7 charts arguing that the US is already in recession, to which PFS group then countered with 7 charts arguing against. I’m sure you all know to take ZH with a pinch of salt (‘fear sells’) but the charts they reference can be be seen at the likes of Alhambra and DShort on more neutral ground. My input: the ZH charts are ‘true’ and show the US economy in deep water, whilst the PFS charts are also ‘true’, but on close inpection they mainly historically flagged once stocks had turned. In short, the stock market is precariously holding things together and is the only defence from outright disaster (as things stand) in a very fragile state of affairs. 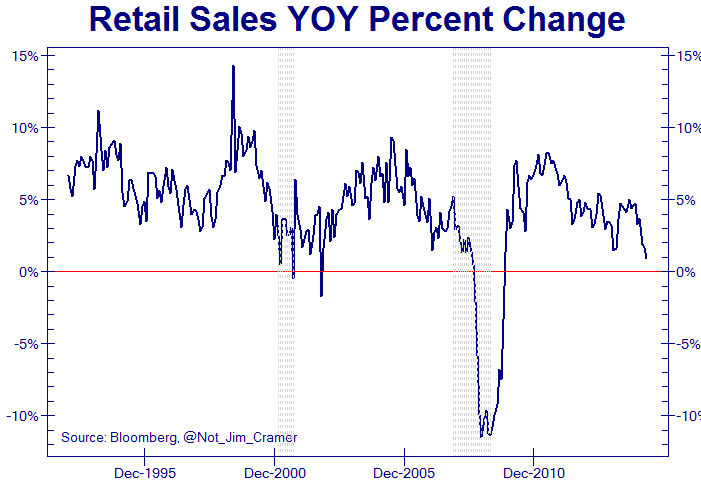 What is beyond argument is that certain economic data items are extremely ill whilst stocks are at all-time highs. In my opinion, that disconnect ‘beats’ any cherry-picking by either side and makes for a looming sharp equities correction. 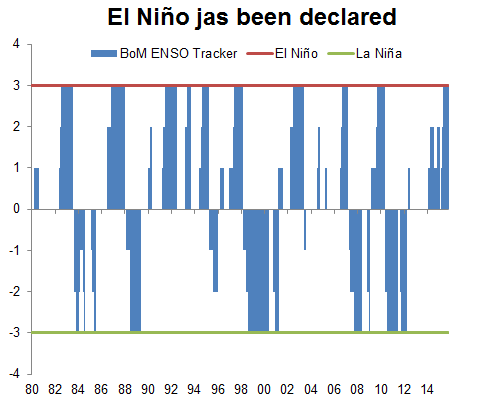 ETF Agriculture shows a similar basing to gold, with historically low current prices in various soft commodities set against a backdrop of a new El Nino and record global temperatures, which historically led to price rises. I can’t rule out equities pushing on a little higher yet here before finally rolling over, but I see it limited to days/weeks due to all the telling flags. So my plan is to phase in rather than load in in one go, and that applies to all 3 markets.